The Colorado Buffaloes defeated Iowa State 34-14 in the final Big 12 match up between the two teams. 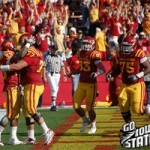 ISU needs a win over #15 Mizzou this Saturday to be bowl eligible. Iowa State started slow, but put away the Kansas Jayhawks with a 21 point 3rd quarter. 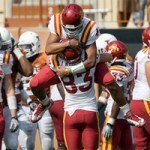 Iowa State won the game 28-16. 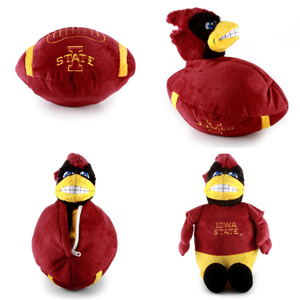 Oklahoma blanked ISU 52-0 last Saturday. The Sooners had too much talent for the over matched Cyclones and it showed on the scoreboard. 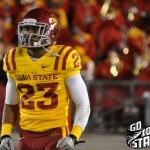 The Iowa State Cyclones offense broke out in a big way against the Texas Tech Red Raiders. 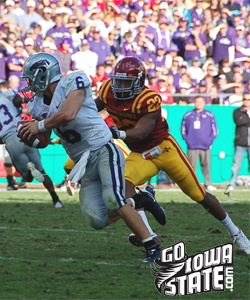 The Cyclones put up 441 yards and 52 points on their way to a 52-38 victory over Texas Tech.